Monster Subnotebook. Who exactly needs 17 millimeter thin Ultrabooks? Samsung piles on a bit of plastic, and replaces the Low Voltage Processor with a standard Core i5. A two-kilo-book for mobile ruffians? 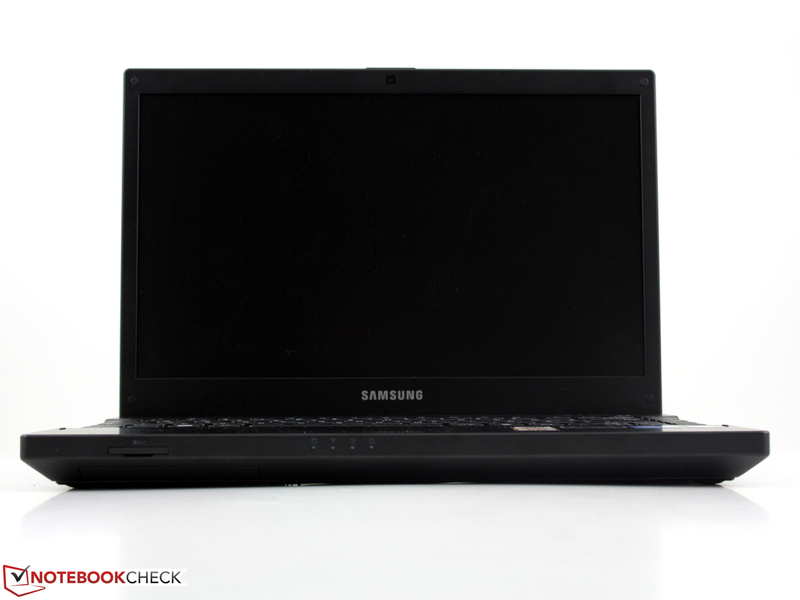 Samsung Series 3 300V3A-S02AT: Three times as thick as an Ultrabook - with three times as much processing power? 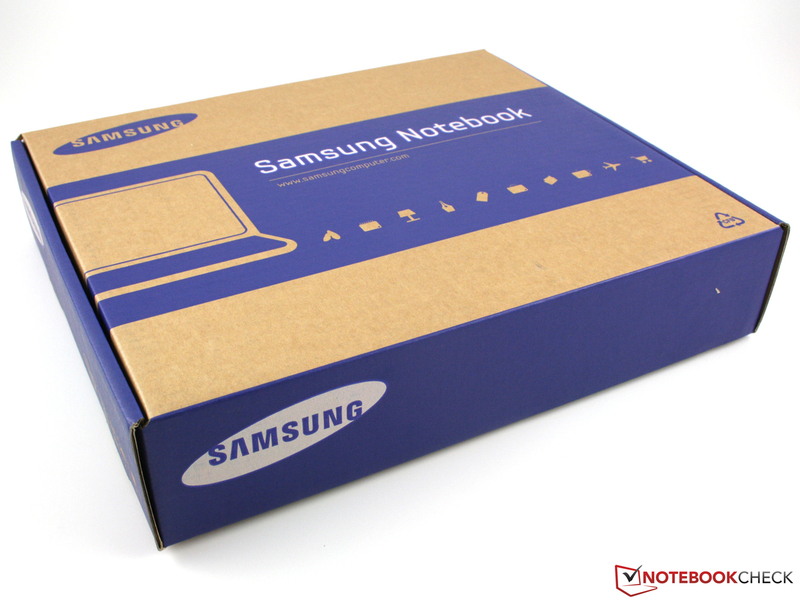 Subnotebook or notebook, this is certainly the question when it comes to the 300V3A from Samsung's Series 3. 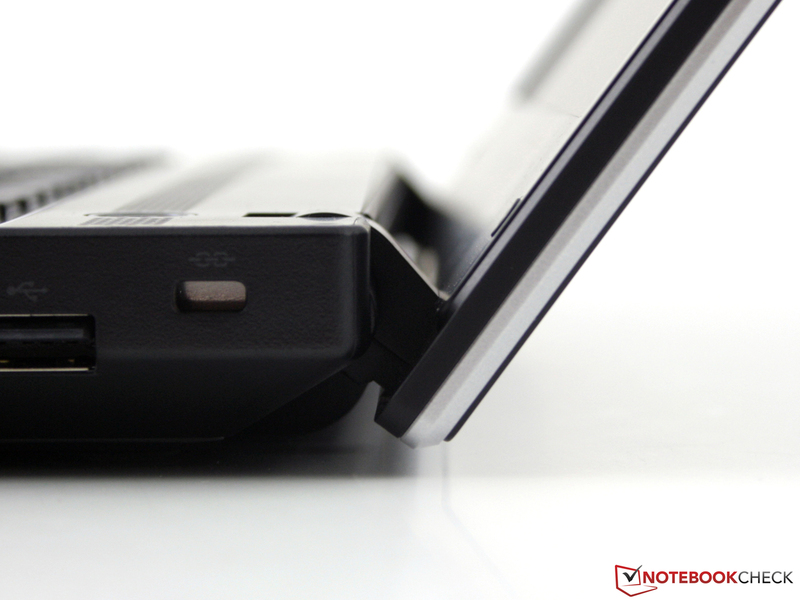 A form factor with 33.78 cm (13.3 inch) usually implies a subnotebook. The weight of just over two kilograms, and a height of 3.3 centimeters (including feet, front 3.2 cm) allow doubts emerge though. Samsung positions the 300V3A as an all-round mobile device for consumers. 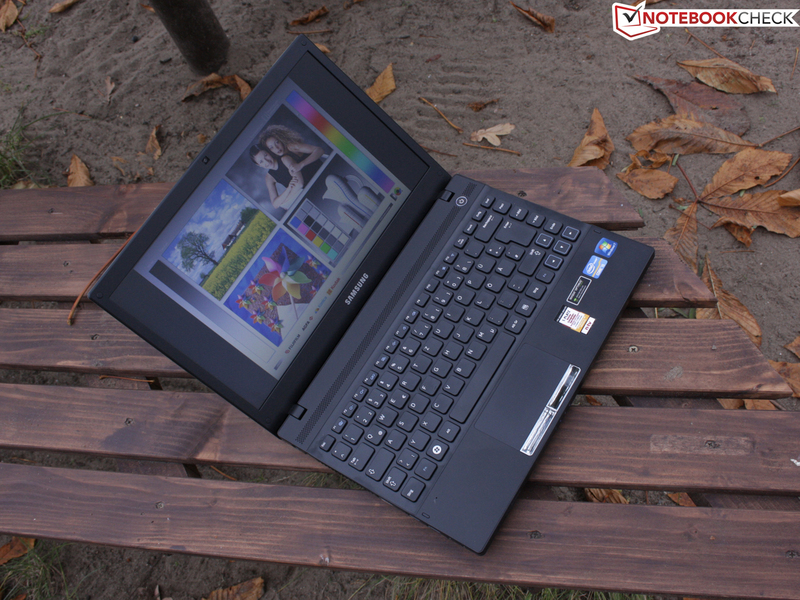 Included are a "high quality keyboard", "fast hybrid graphics", and a "powerful Intel Core i5 processor". Do demanding customers really require anything else? We will determine what the Samsung 300V3A for 680 Euros has under the bonnet. The lid has a surface made of varnished brushed aluminum. The plastic chassis can be bent considerably. Surprisingly, since the inner construction even has a reinforced base. 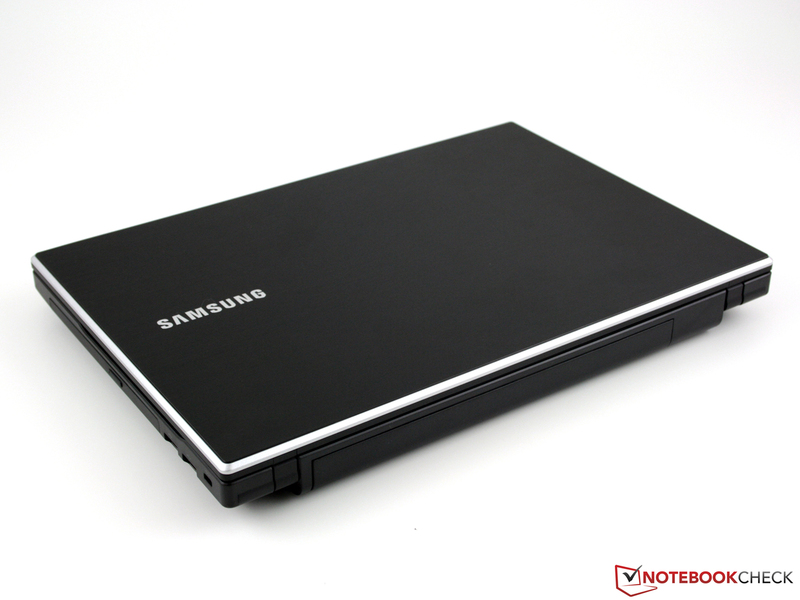 The Samsung 300V3A is more of a simple notebook in terms of its materials and construction. 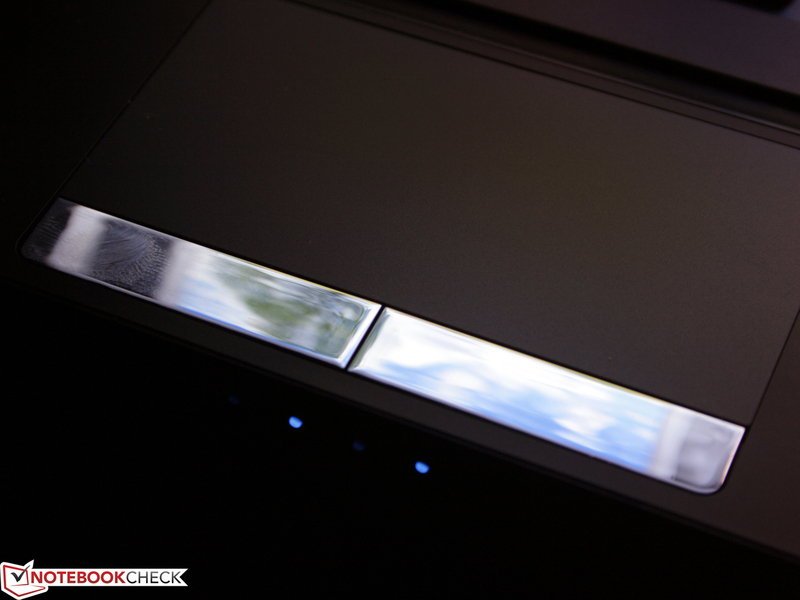 A small highlight are the brushed aluminum surfaces on the lid, and those used as the grid for the keyboard. The palm resting area consists of a smooth unvarnished plastic, which is also used above the keyboard, and for the display frame. The anthracite look doesn't draw attention to itself. Even the power on button is decently illuminated with Samsung blue. Precisely the understatement will appeal to many buyers. The plastic palm resting area is pleasantly grippy for the hands. Fingerprints can't be completely avoided, but their appearance remains within limits. The palm resting area is also very firm, and cannot be dented anywhere. 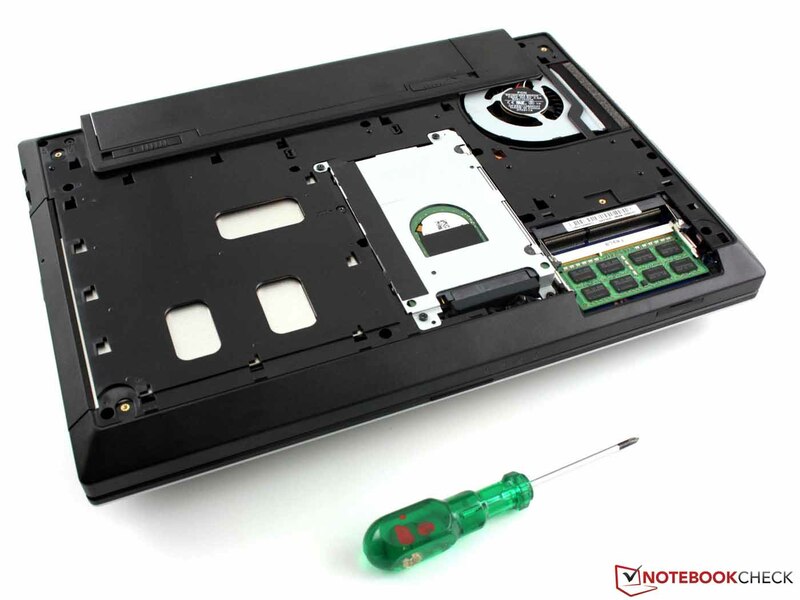 The same does not apply to the bottom surface, which can be dented inwards noticeably below the optical drive. What is more of a concern for us though, is how much the base unit can be bent. Using two hands we were able to significantly warp the chassis, although only to a limited extent. 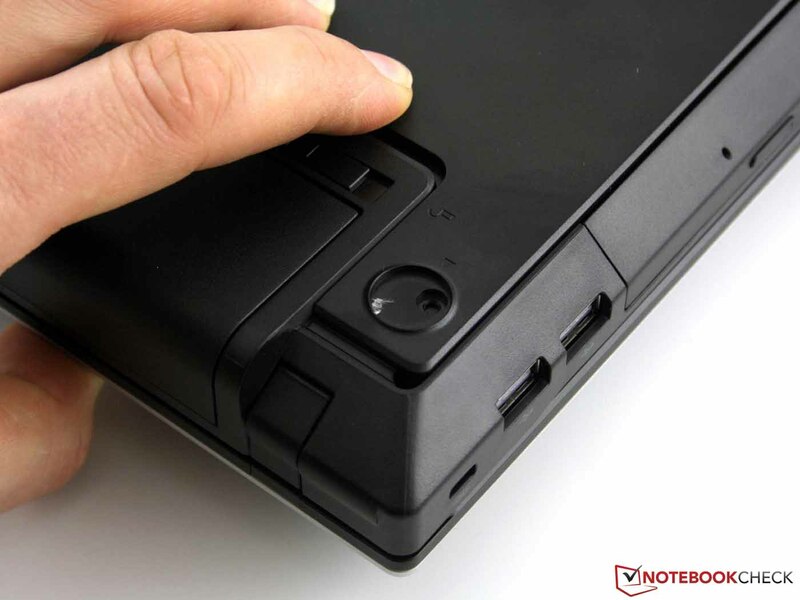 The stability of the relatively thick lid is also suitable for mobile use. We weren't able to dent its surface. The resistance to bending this with both hands is acceptable, since the edges can be bent a little bit. The hinges hold the TFT firmly in place, but also let the display wobble noticeably. The reason: The hinges are softly attached to the chassis. The maximum opening angle of 130 degrees if sufficient for use on the lap. What is pleasing is the rigidity of the hinges, which don't allow the display to open when it is upside down, although this also means that two hands are required to open it. 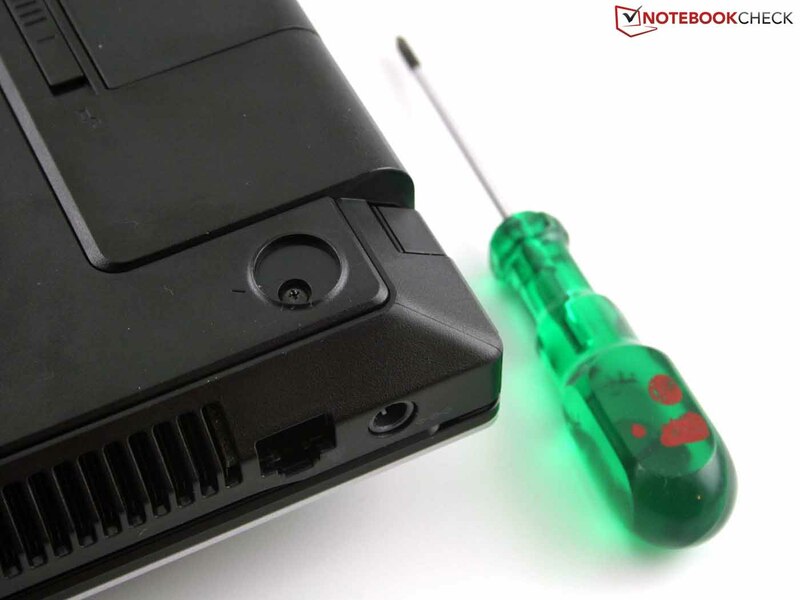 The battery can be removed for use on a desktop, since it does not house any rubber feet. The latter of these are big and soft, and give the 13.3 inch notebook a firm and stationary base. The only opening in the bottom surface gives access to the RAM shaft (two sockets, 1x 4096MB, 1x empty). But also the hard drive can be removed: In this case the rubber feet and the screws underneath them have to be removed. Following this the whole base plate can be slid forward. There are three USB ports. If at least one of these would shine blue we would be content. USB 3.0 ports which are marked in this way, are unfortunately not on board though. The position of the right USB port seems to make sense. At least right handed people won't get caught up with a mouse cable. On the left side, USB, HDMI or VGA cables could get in the way though. Interfaces at the back would be the solution that provides "invisible" cabling. The lowered hinges however prevent a use of the back of the device for interfaces as usual though. Along with WLAN Draft-N (Intel), the other wireless technology provided by the 300V3A is Bluetooth 3.0+HS. The Realtek Gigabit Ethernet controller is able to exchange data with the network at the best possible speed. An internal 3G module for mobile internet access would certainly be justified by the good battery life. A variant such as this doesn't exist in the Series 3 though. The webcam with a resolution of 1280x1024 pixels (1.3MP) provides sufficient granularity for video chats and snap shots in any case. There is a recovery disc for Windows 7 Home Premium (64-bit) included. 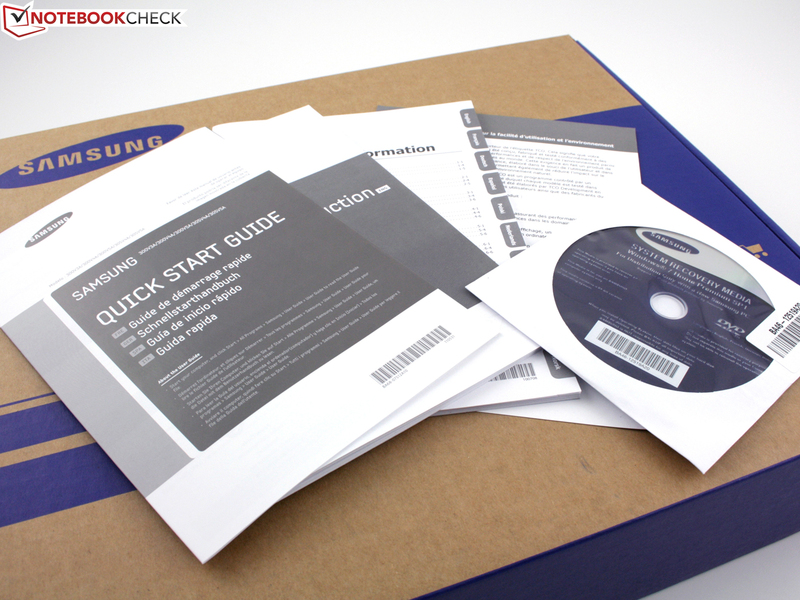 Users can also make their own system disc image using Samsung Recovery Solution. This would then also backup all the installed programs. Samsung has bundled its so far separate included system tools into the new Control Center. This includes the power plans, as well as the Battery Life Extender (battery charge limited to 80 percent), SpeedBoot (previously Easy Speed-Up Manager), the WLAN settings, and the display settings (presets for movies, soft, sharp, standard). The cooling fan behavior in silent mode can also be controlled. What has remained separate are Update Plus 3.0, Partition Manager, File Share, or Content Share. Further multimedia tools included are Cyberlink Media Suite 8, and YouCam 3.1 with a desktop recorder. 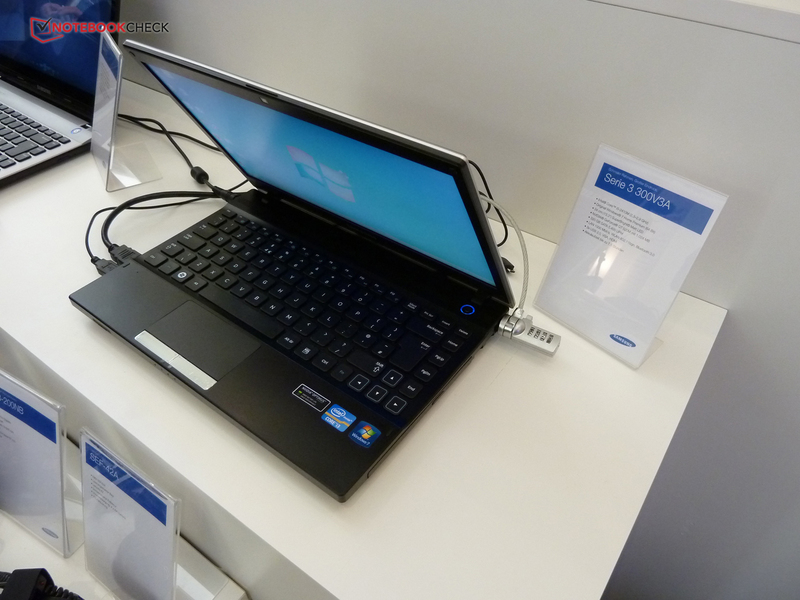 The hybrid standby mode "Fast Start" has been implemented by Samsung in its notebooks since a year. The feature reduces the waiting time of a warm start to a few seconds. We pressed the power on button, and from one second to the next the desktop is displayed. The laptop must be powered throughout though, since all the data is stored in the RAM. The manufacturers warranty lasts for 24 months. This can be increased to up to 36 or 48 months (Collect & Return) with a service extension. The activation for this has to be carried out within 90 days of the purchase of the device. The price: Approximately 55 Euros or 100 Euros, respectively. Samsung has built a very good keyboard into its Series 3. The free standing keys utilize the whole width of the chassis up to the edge, which increases typing accuracy. The main advantage is the clear pressure point of the keys though, as well as the comparatively long key travel. The key end stop is hard across the whole surface, since the supporting surface is firm. Even a lot of pressure doesn't dent the surface. At this point we recognized the reason for the thick case: Samsung has included a special support underneath the keyboard. The arrow keys may not be separated from the others, but at least they are marked as such with colors, and are thus still easily recognizable in dim lighting conditions below the large Shift and Return keys. Samsung has made the arrow keys stand out by half a centimeter from the triangle of keys. And although these may be small, they can still be found easily. 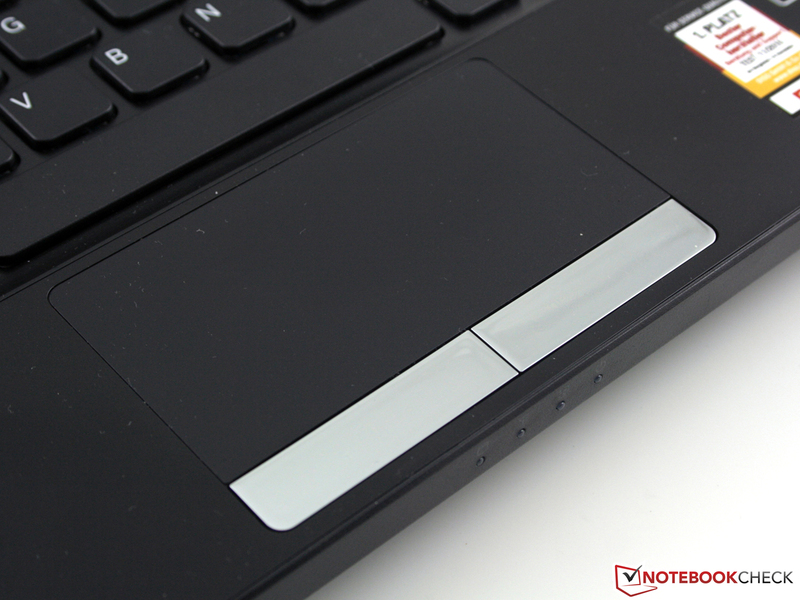 The ELAN touchpad (Smart-Pad) is sensitive right up to the edges. The mouse replacement has two scrollbars which are not marked visually (vertical and horizontal; inactive upon delivery). 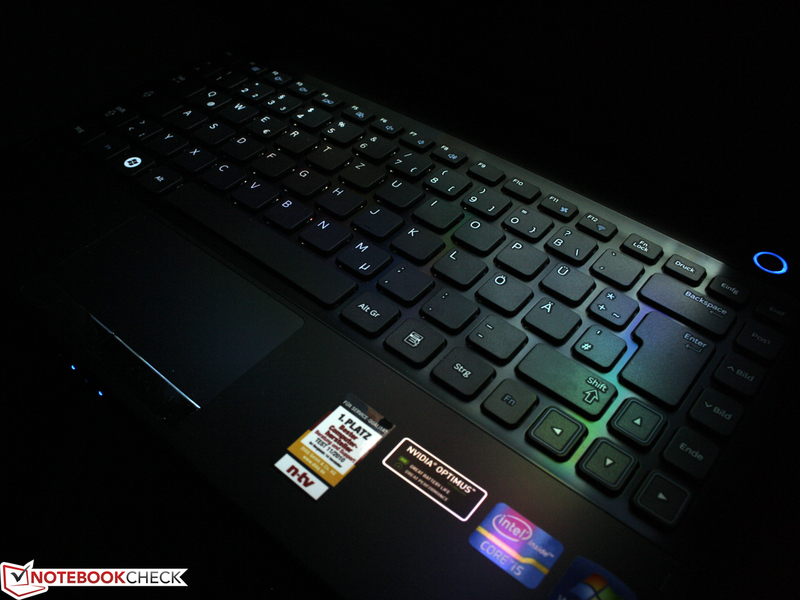 Due to the thin transition to the palm resting area, the touchpad is not always immediately obvious in dark lighting conditions. In this case the shiny chrome buttons can act as a "point of reference" though. Thanks to the medium button travel and the clear pressure point of the mouse buttons, fast clicking is within the realm of possibilities. The high pitched sound generated when doing this is clearly audible though, and is likely to lead to annoyed glances in a library. A quiet notebook with loud mouse buttons? This obviously doesn't fit together. 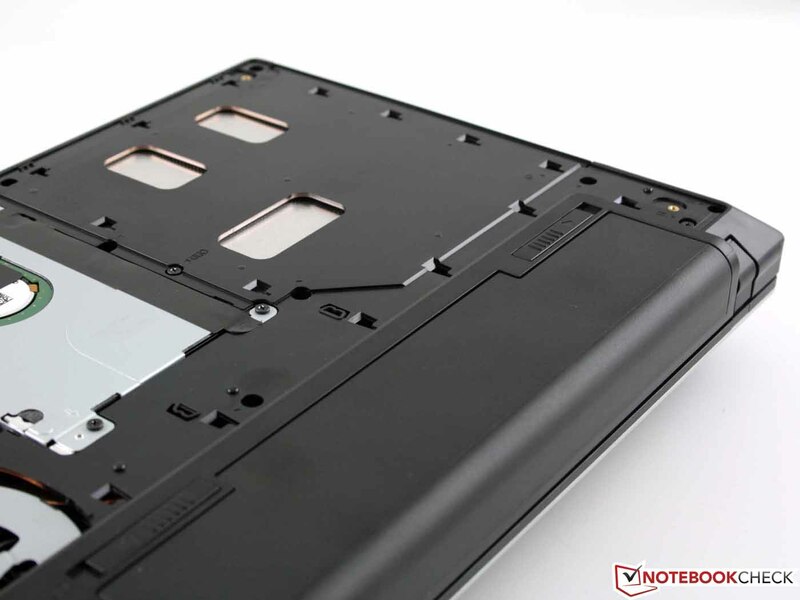 The surface of the Smart-Pad is matte, and has pleasing low friction properties. Thanks to this the cursor not only glides very swiftly, but also accurately across the desktop. Along with the multi-finger-gestures (scrolling, turning pages, etc.) the touchpad also detects a resting hard (hand sensor), and switches off temporarily. This should prevent unintended entries, such as for example when writing in Word. The keys have a clear pressure point. This is also valid for the mouse buttons. The width of the notebook is fully utilized. Samsung has included a WXGA panel with a native resolution of 1366 x 768 pixels. The 16:9 display (Samsung LTN133AT21001) is noticeably non-reflective, as a result of which there are more or less no reflections. The contrast of 122:1 is however extremely low. For an office device the pale colors may not be nice, but are still acceptable. Anyone intending to use the 300V3A more for watching movies, looking at photographs, or playing games, could be disappointed. The manufacturer doesn't appear to be aware of these shortcomings though, since the Control Center provides display setting presets such as movie, soft, and sharp. These don't improve the contrast though, but merely change the color hue of the Windows colors (Windows feature with a different name). 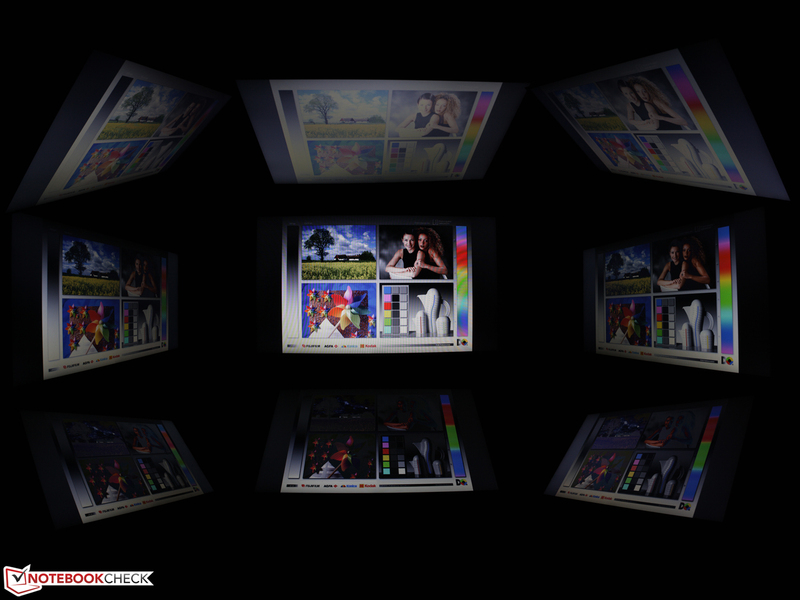 Professional users will be interested in the color space representation. The color space is a long way away from the Adobe RGB 1998 (t) reference, something that also applies to sRGB (t). For this reason the comparison to the better Samsung Series 9 900X3A panel leads to a negative result. The panel distributes the brightness unevenly across the display (79%). This means that the variations (homogeneity) of the LED backlight are obvious, and could even be recognized by us with our bare eyes. Directly at the top edge the panel is 175 cd/m² bright, and above the lower edge this falls to a mere 150cd/m². These "areas" are visible with the bare eye when a white image is displayed. The luminance changes noticeably between different measured areas (e.g. bottom, middle: average 225 cd/m²). Altogether the luminance is good with an average of 242 cd/m². For outdoor use the brightness is unfortunately a little to modest. The reason: When battery powered the brightness falls from 249 cd/m² to 216 cd/m² (middle). Nevertheless, the anti-reflective display surface proves itself suitable for outdoor use - at least with cloudy conditions, such as on the following three photographs. We were able to discern the displayed images reasonably well from two vantage points, as long as we didn't diverge too far to the left or right. In which case the displayed images quickly become very dark. 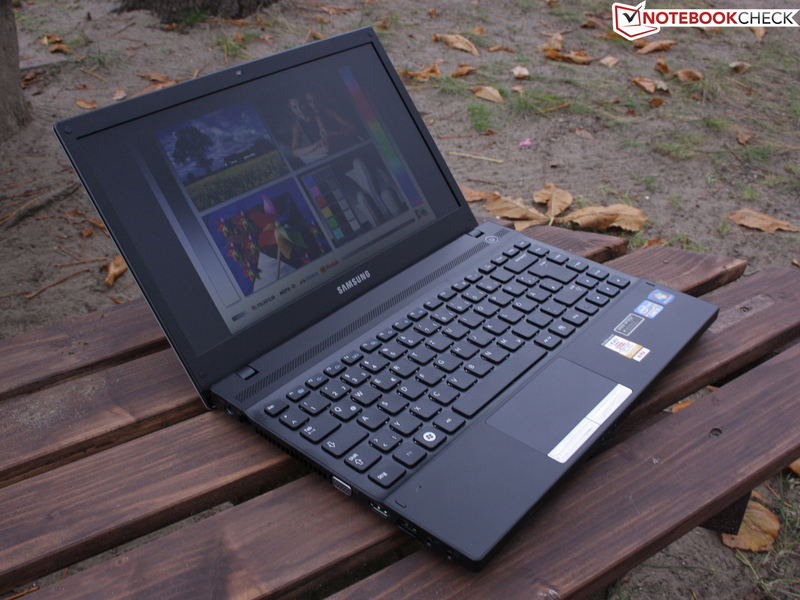 When it comes to the viewing angles, the Samsung 300V3A has similarly narrow viewing ranges as about 90 percent of the notebooks reviewed by us. Looking from above or below (vertical) leads to ghost images from about 25 degrees. Horizontally we were able to diverge about 45 degrees from the middle. On top of this the colors also inverted noticeably. Displays with stable viewing angles are a rarity, especially in devices with prices below 1000 Euros. 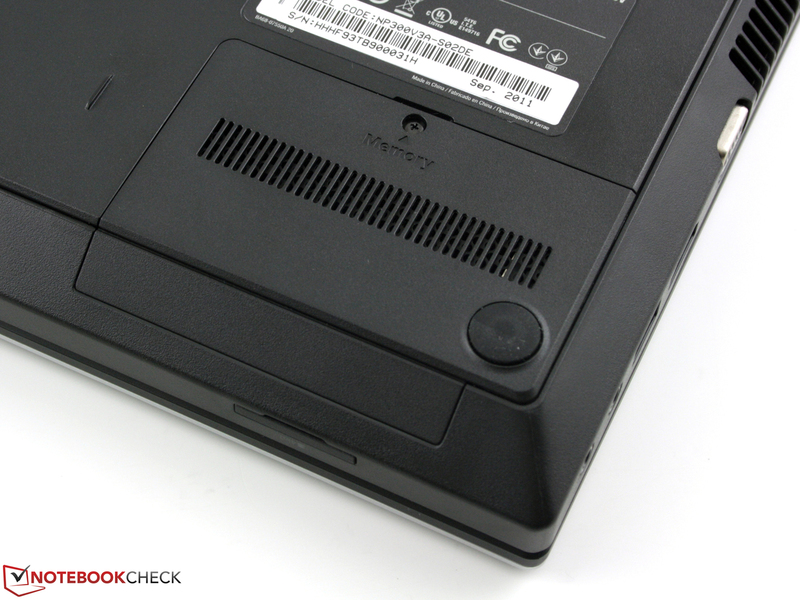 Better viewing angles, at least in the horizontal plane, can be found in the Gigabyte P2532N, LG A520-T.AE31G, Sony Vaio VPC-F22S1E/B, Sony Vaio VPC-SE1Z9E/B or the Asus N55SF-S1124V. 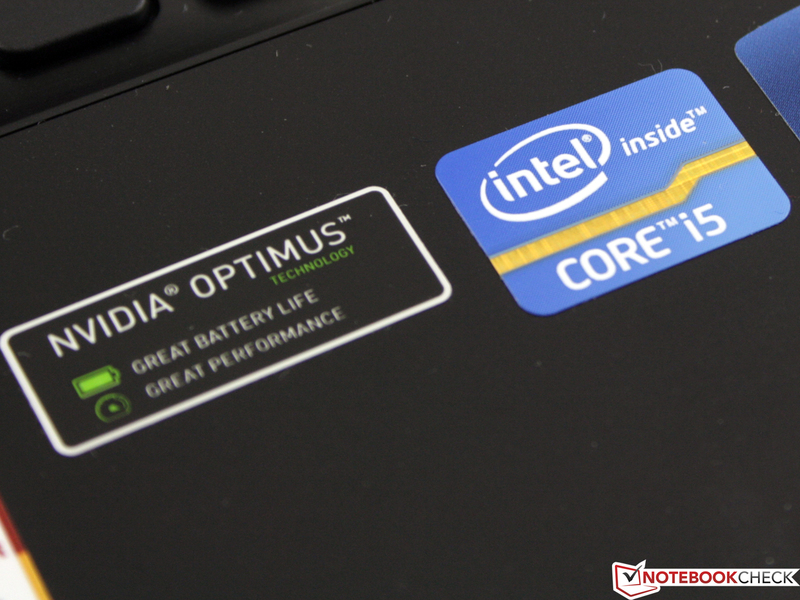 The Intel Core i5-2410M (2x 2.3GHz) is combined with a Nvidia GeForce GT 520M (1024 MB). Previous tests of the DirectX-11 GPU indicated an entry-level gaming performance. The graphics card is automatically deactivated by Nvidia Optimus, in which case the graphics processing is performed by the HD Graphics 3000 processor graphics unit. There are 4 GBs of RAM included, whereby fortunately only one 4096 MB module is used. One RAM slot is therefore empty, and could be used for another 4 GB module. The hard drive from Samsung is an HM321HI with 320 GBs. Other configurations of the 300V3A are not available. The Core i5-2410M (2x 2.3GHz) has a Turbo clock speed of up to 2.9 GHz (with single core utilization, otherwise less). Thanks to Turbo 2.0, the CPU can also exceed this speed providing that the temperature is not too high (Dynamic Range @ Turbo Frequency Limits). This isn't fully utilized in the 300V3A though, and we only detected a maximum clock speed of 2.8 GHz (single-core stresstest). The clock speed however already falls down to 2.3 GHz after a minute, where it then stays. Does this characteristic have an impact on the typical performance of an i5-2410M? No. As we were able to measure with the single-core benchmark Cinebench R10 Single 64-bit. 4630 points is a fantastic score with this CPU. The average is around at 4500 points (all devices with 2410M). But the answer should simultaneously also be a yes. With Cinebench R11.5 (multi-core) the processor doesn't perform quite as well. 2.35 points are below average for this processor (~2.60 points). 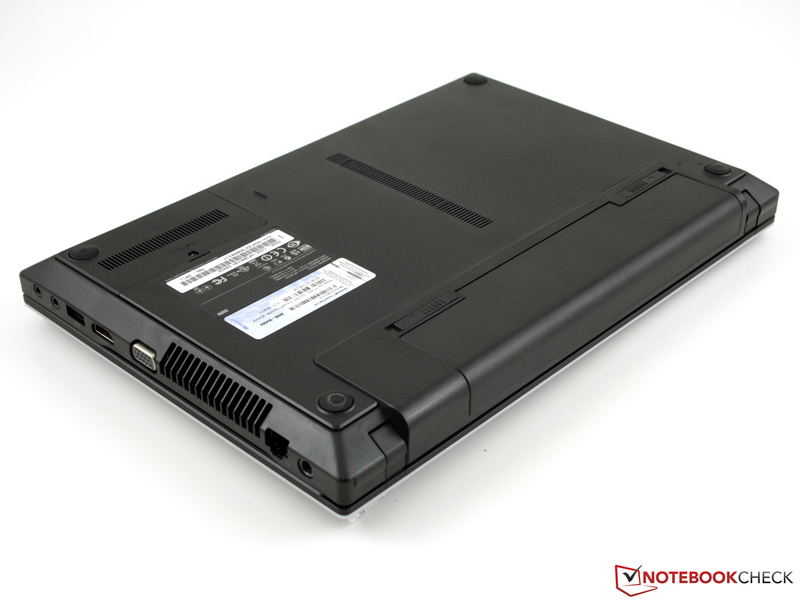 A second subnotebook with a similarly low score is the Asus U36SD-RX114V (2.25 points). Since the base clock speed of 2.3 GHz doesn't fall any lower in either the Asus or Samsung devices, throttling is not the culprit though. 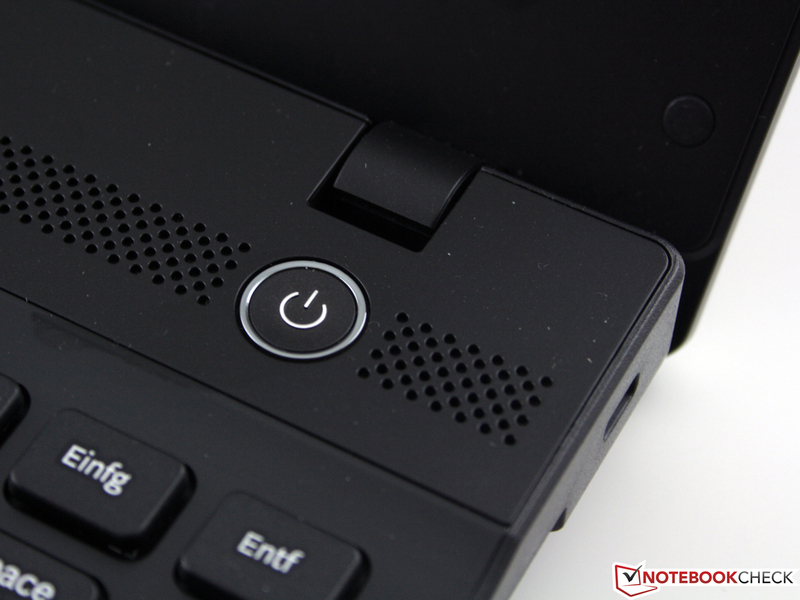 Is the full performance also available when the notebook is battery powered (maximum performance mode, no silent mode)? No. The Cinebench R11.5 CPU test results with 2.2 points when battery powered. Using the 3DMark2006 benchmark the result is 484 points lower (CPU score 2766 instead of 3250 with AC adapter). PCMark Vantage determined a score of 6388 points. A considerable result, which exceeds that of the 2010 elite gaming notebook MSI GX740, with an i7-720QM four-core CPU and Radeon HD 5870 gaming graphics card (6225 points). 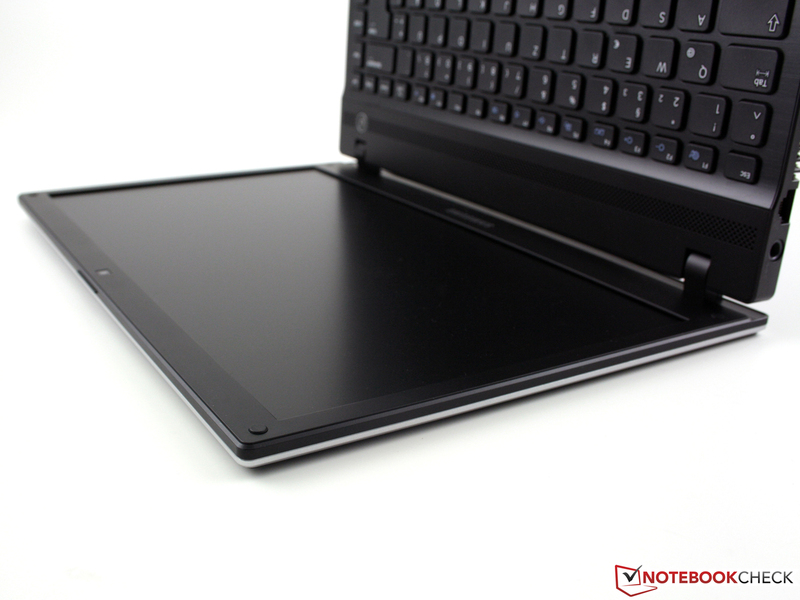 Compared to current multimedia devices, the EasyNote NX69-HR-127GE (13.3 inch) or the X43SV-VX084V (both with 2410M, GT 540M) are on the same level. This is surprising, since both of these devices have a more powerful graphics card. With the current PCMark 7 (1845) the differences have become less pronounced, with the EasyNote NX69-HR-127GE achieving exactly the same number of points. The 320 GByte hard drive from Samsung (HM321HI) is acceptably fast. The hard drive has a rotational speed of 5400 rpm, and reads at a speed of 72 MBytes/s in sequential read (HD Tune). The Crystal Disk Mark 3.0 test determined a considerably faster rate of 85 MBytes/s (sequential read), which can be explained by its disparate test routine (10 MByte/s difference many cases). The HDD Score from PCMark Vantage lies at 3185 points (sub score). Faster turning HDDs with 7200 rpm achieve higher data rates (75-85 MB/s with HD Tune), which can lead to an HDD Score (PCMark 7) of more than 4000 points. The only disadvantage of a 7200 rpm HDD is the rotational noise, which is often not justified by the small increase in performance. Anyone playing with the idea of fitting the 300V3A with an SSD could soon take advantage of read rates between 140 and 250 MB/s (HD Tune/Crystal Disk Mark). Values such as this were achieved by the Asus U36SD. More information can be found in the HDD/SSD benchmark table in the FAQ section. The GeForce GT 520M (1024 MB DDR3) is currently the lowest performance dedicated graphics card in the GT 5xx series. The performance of the DirectX-11 GPU is about 25% better than that of the HD Graphics 3000, which is integrated into the Core i5 (Optimus graphics switching). Since the driver support for Nvidia is better, a significantly improved 3D performance can be expected from the GT 520M. Using 3DMark2006 4761 points contend against 3941 points (GT 520M / HD 3000). With 3DMark Vantage the GeForce performs 24% faster than the HD Graphics (average values). All the details and measurements / gaming tests for the GT 520M, can be found in the GPU data sheet. 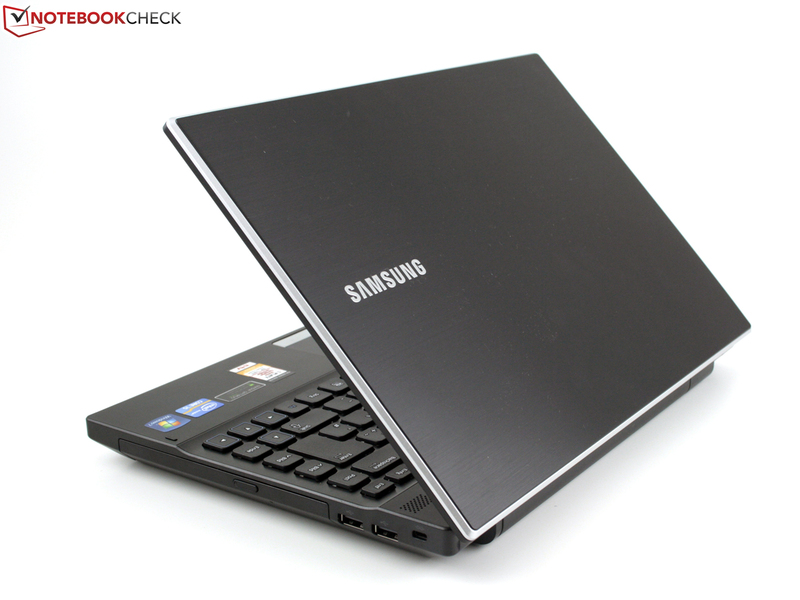 As a gaming notebook the Samsung 300V3A is insufficiently equipped. But the GT 520M can also provide hardware support for other applications, by using the shaders for general calculations. If the program uses CUDA, DirectCompute 2.1 or OpenCL, then the graphics card will expedite the processing. This is for example the case with CyberLink Power Director 10 (video editing). The 3DMark Vantage result of 2280 points is on the expected performance level. Best score: Asus U36SD - 2351 points. The same as with Unigine Heaven with 7.7 fps in the test. Anyone wanting to acquire more gaming performance should reach for a GT 540M or HD 6650M. The Acer Aspire 3830TG, also 13.3 inch, for example has a GT540M which is 105% (3DMark Vantage) or 79% (Unigine) faster. 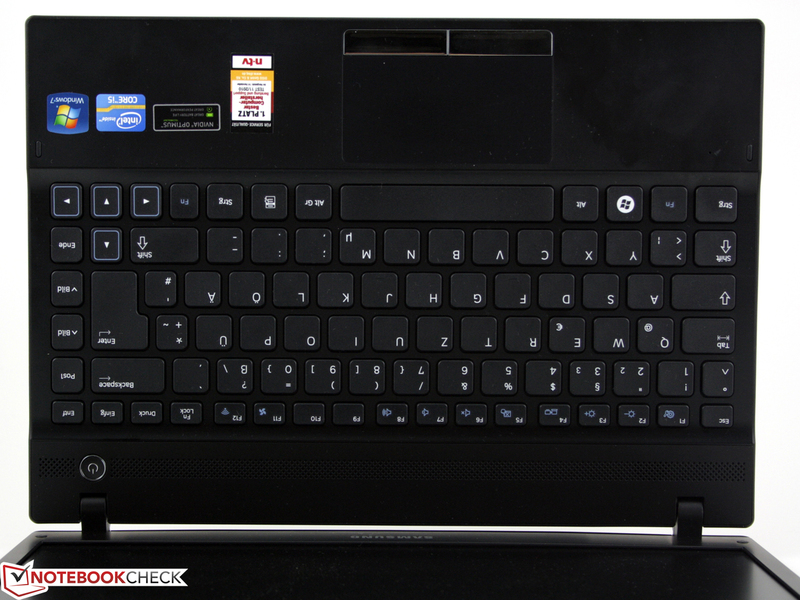 An HD 6650M is at least 55% faster (Packard Bell EasyNote LS11-HR-050GE). During battery powered operation the gaming performance is marginally lower, since the processor hardly utilizes the Turbo clock speed. The 3DMark06 result falls from 4761 points to 4688 points (CPU Score: 3250 to 2766 points). Optimus was set to automatic during the test. The HD 3000 could be forced on, and would result in correspondingly lower benchmark results. Anyone installing up to date games on the Samsung 300V3A shouldn't expect an altogether smooth gameplay. Already with the detail settings set to medium the gameplay is often no longer smooth. In some circumstances it is necessary to set the Nvidia setting from "automatic" to "high performance GPU" (GPU switching Optimus). Otherwise the same thing that happened to us could happen: Skyrim uses the Intel HD, and even judders with settings set to low at 16 fps. StarCraft 2 can be played using the native resolution and medium details (32 fps). The GT 540M provides a performance improvement of up to 109% in this case (67 fps). Even the Radeon HD 6630M with a performance improvement of 61% is significantly better. Deus Ex Human Revolution doesn't require excessive processing power, and can thus be played reasonably well using high detail settings. GT 540M users may find this laughable in light of their 37 fps, and even the HD 6630M manages to achieve 31 fps. The roll playing game faction will look forward to The Elder Scrolls V:Skyrim. Using the 300V3A won't provide any joy in this case though. Even when using minimal details and a lower resolution of 1280x720, the 13.3 inch notebook only manages to achieve 27 fps. The GT 540M once again surpasses this with 38 fps. Anno 2070 is able to shine with a brilliant graphics performance. Unfortunately not on the Samsung 300V3A. In this case using medium detail settings and the native resolution results in 18 fps. Even the Acer Aspire 3830TG which had to contend with throttling is 92% faster. When it comes to the system noise Samsung has stayed true to itself: There is a silent mode, which should make the notebook quieter. This mode limits the processor speed at 800 MHz. The performance is therefore reduced, although it is still enough for text processing. The aim of the project 'silent' is to reduce the power consumption, and thus also the heat generation. 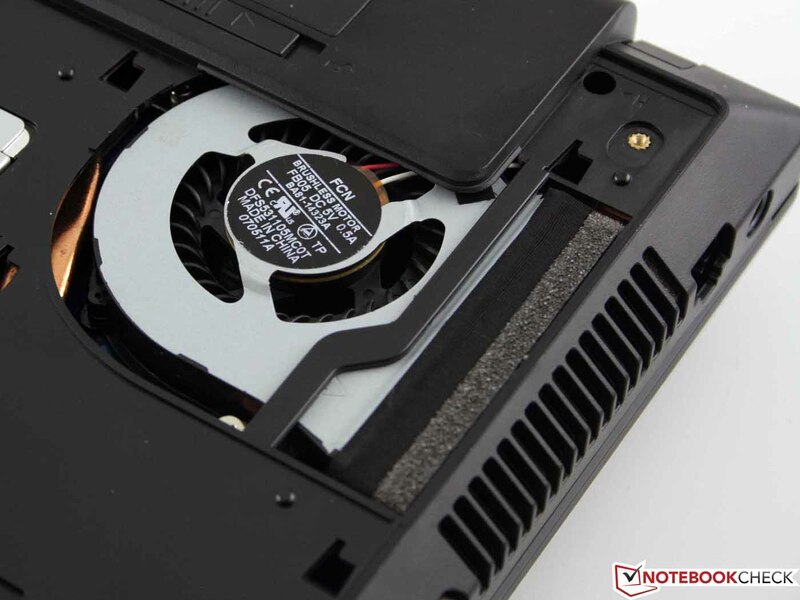 The silent mode allows the cooling fan to switch off in an idle state, so that the only noise remaining that can be measured is the humming of the HDD (barely audible). In cases when the processor has to perform calculations (not peak performance) the cooling temporarily switches on again, but the noise generated remains below 31.4 dB(A). Without the silent mode the cooling fan works constantly, and generates noise levels between 33 and 36 dB(A) in an idle to low performance state. With the silent mode disabled the Samsung 300V3A can make quite a racket: 45 dB(A) were measured during the stress test (Furmark & Prime95). These high noise levels were only apparent in the aforementioned scenario though, which is relatively unrealistic. A more realistic noise level during gaming and high processing loads is 39 dB(A) in normal mode. The temperatures are not conspicuous, bar one exception. During normal use with prolonged idle periods, the top surface temperature doesn't exceed 30 degrees. On the bottom some areas reach 38 degrees, something that could be attributed to pockets of hot air inside the chassis (silent mode, deactivated cooling fan). The stress test takes its toll though. In this scenario we measured up to 54 degrees Celsius on the bottom surface. This isolated value is rounded off by the cooler areas, which is why the average remains at 36 degrees. A positive aspect is that the palm resting area doesn't get any warmer than 34 degrees. The cooling system has the thermal challenges under control. During the several hour long stress test (Furmark & Prime95), the CPU speed remained within the standard 2.3 GHz (normal speed without Turbo) area. Therefore throttling should not be a problem. (+) The maximum temperature on the upper side is 38.2 °C / 101 F, compared to the average of 35.8 °C / 96 F, ranging from 22 to 57 °C for the class Subnotebook. (-) The average temperature of the palmrest area of similar devices was 28.6 °C / 83.5 F (-5.7 °C / -10.2 F). The two stereo speakers are under the perforated panel above the keyboard as usual. The frequency response is concentrated in the mid-range, with the high frequencies distorting at full volume, and no bass. Altogether we would describe the sound as thin and dull (mid and high frequencies). The volume can be turned up quite loud, although this can lead to distortion, depending on the audio content e.g. music, dialogue, etc. The integrated microphone is located in the left palm resting panel, and can inadvertently be covered by the hand by accident. What was really a cause for concern during our test though was the loud clicking of the keys, which interferes with the audio. Perhaps this is the reason why many manufacturers generally put the microphone into the top of the display frame. Samsung has revamped the Power Mode, and now provides users with the option to be environmentally friendly or not with the Eco Mode. Of course we opted for "protect the environment", which deactivates the wireless modules, and reduces the brightness. Being environmentally friendly our internet connection is established using the economical Ethernet cable option. What is interesting about the Eco Mode Tool, is the instantaneous power consumption reading in watts, as well as the amount of CO2 emissions. 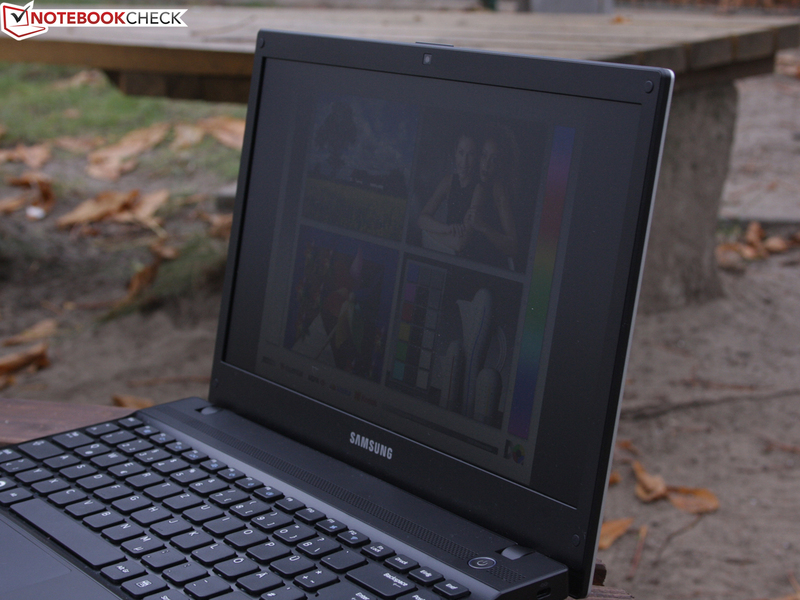 The Samsung 300V3A is definitely well suited to economical users. In silent mode the device has a minimum power consumption of 7.1 watts (idle). While in the maximum performance mode (CPU standby off, wireless on, maximum luminance) the multimeter climbs to 13 watts (silent mode) or 13.8 watts in normal mode. These figures are by no means exceptional though: The Packard Bell NX69 (14 inch, 2410M) with the more powerful GT 540M, only requires 7.6 to 12.5 watts (60 Wh battery, almost 12 hours in idle!). The maximum power consumption during the stress test (Furmark & Prime95) lies at 68 watts. When only the CPU is fully utilized, the multimeter measures a power consumption of 52 watts. With a graphics load using Furmark, this values lies at 51 watts. The 65 watt AC adapter is therefore just enough. 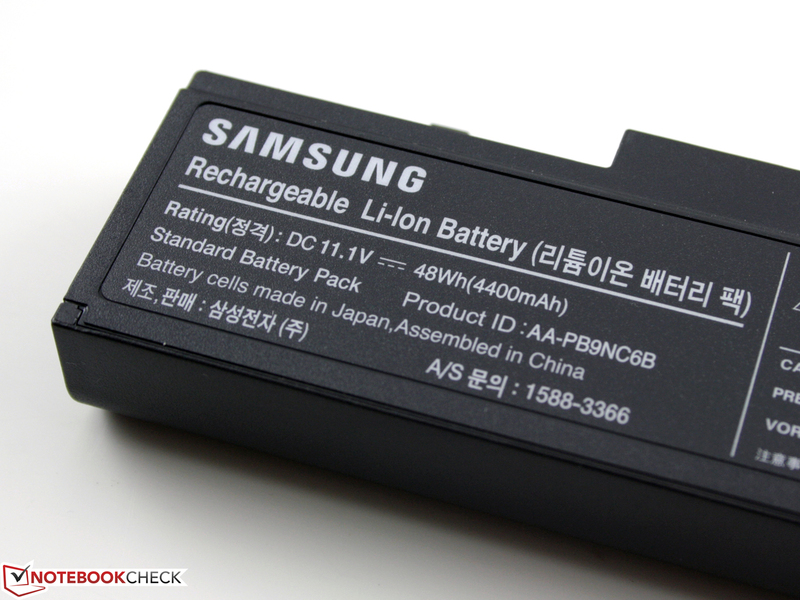 The charging of the battery is stopped when the power consumption reaches very high levels. The 300V3A was able to live up to our expectations. For this the 48 watt-hours battery (6 cells, 4400 mAh) is put to good use. On the other hand the Nvidia Optimus technology saves power by switching off the dedicated GPU. 8:48 hours is the resulting idle battery life (minimum brightness, wireless off). More relevant for practical purposes is the WLAN test with 6:20 hours we ran at 100 cd/m² luminance. Users will get a fairly long way with this. Although when playing back a DVD the battery life falls to four hours. With a high processing load and generous settings (maximum brightness, wireless on, maximum performance mode) the battery life is reduced to 1:27 hours. Following this the 65 watt AC adapter needs two hours to fully charge the completely empty battery. More mobility is for example provided by the Asus U36SD: 9:10 hours in an idle state. The relevant WLAN test lasts for 7:45 hours in this case. The comparison is not fair though, since the U36SD has a larger 80 watt-hours battery. 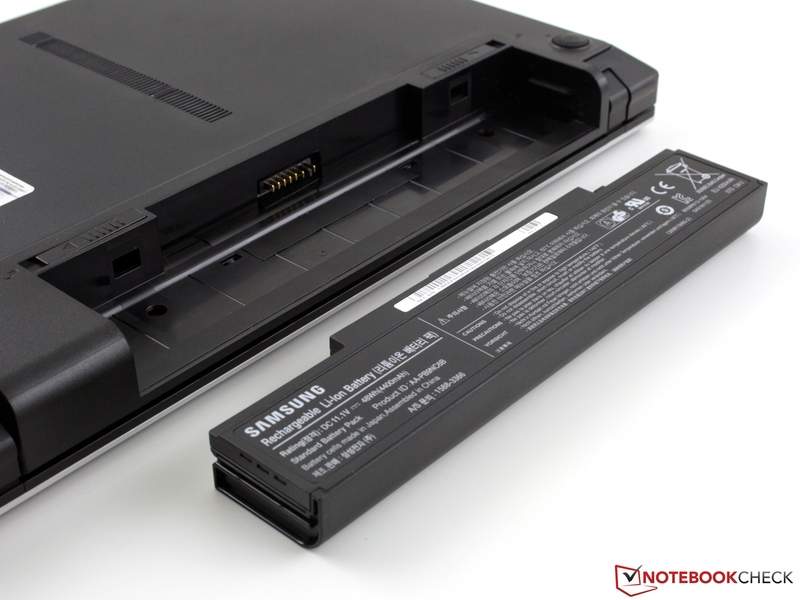 The Packard Bell NX69 with an 11:40 hours idle battery life, and 6:39 hours WLAN test battery life does however show that the good battery life of the Samsung 300V3A is by no means the best. 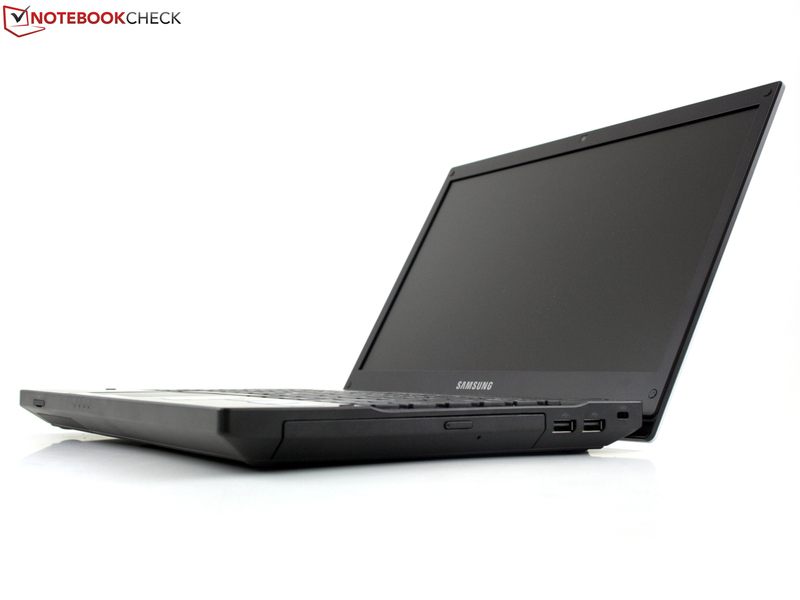 The Samsung Series 3 300V3A doesn't attempt to draw attention to itself with a thin chassis. Instead, the style factor remains modest, and the device scores points with matte simplicity and high quality surfaces. The idea is good, but fails due to a bendable base unit, and a softly attached lid. In this respect expectations and reality clearly diverge from each other. With the Intel Core i5 2410M (2x 2.3 GHz) users have a fast processor available. The Nvidia Geforce GT 520M entry-level graphics card provides some limited gaming functionality and hardware support (CUDA). The massive case even offers a respectable battery life of between 4:02 hours (DVD movie) and 6:20 hours (surfing with WLAN). On the subject of power, this is the primary strength of the 13.3 inch notebook: The heat generation during normal use is low, and the system noise is almost not noticeable (quiet hard drive) when using the silent mode (CPU speed 800MHz). The power consumption of merely 7 to 14 watts in an idle state, up to a maximum of 68 watts with a high processing load, should be a welcome feature for economical users. 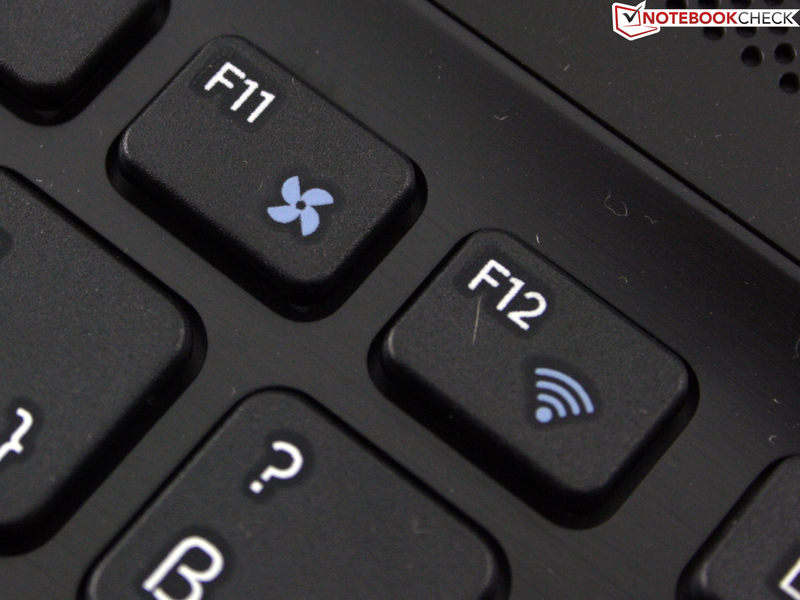 The keyboard has very clear feedback, which is why typing is fun despite the flat keys. Some will miss a USB 3.0 port, and ask themselves why time has seemed to stand still in this case. The contrast and viewing angle characteristics of the display are not surprising, since the fewest consumer laptops break out of the vicious circle. 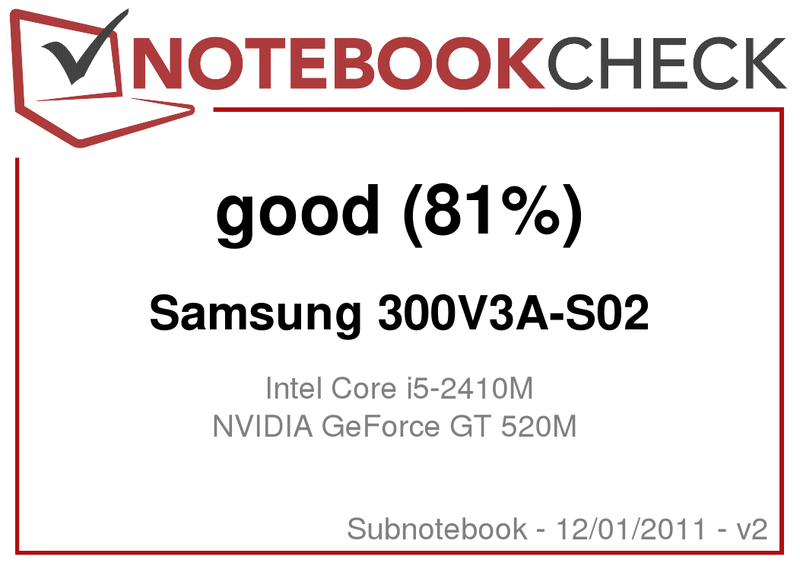 Samsung unfortunately doesn't make any exceptions with the reviewed notebook. At least the anti-reflective surface and the usable brightness make use outdoors possible. But the results could also be better in this case. 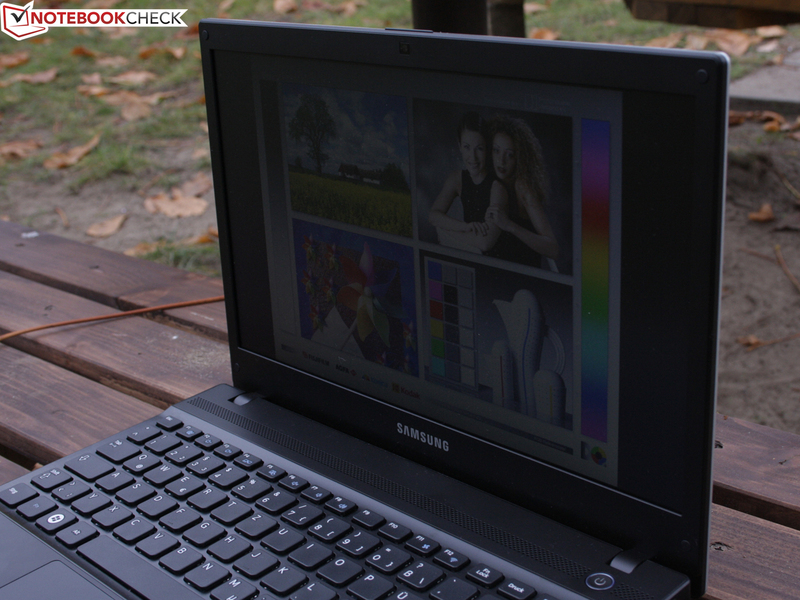 The Samsung Series 3 300V3A has been assigned a mid-range rating of 81% (good). Shortcomings were observed with the stability of the case, the interfaces, and the display. The 3D performance is surpassed by the GT 540M and the HD 6550. Nevertheless, the 13.3 inch device is still a good notebook for those that values a low system noise and a good keyboard. We already came across the Series 3 from Samsung at the IFO preview in August 2011. Easily visible in dark surroundings: The chrome colored mouse buttons. 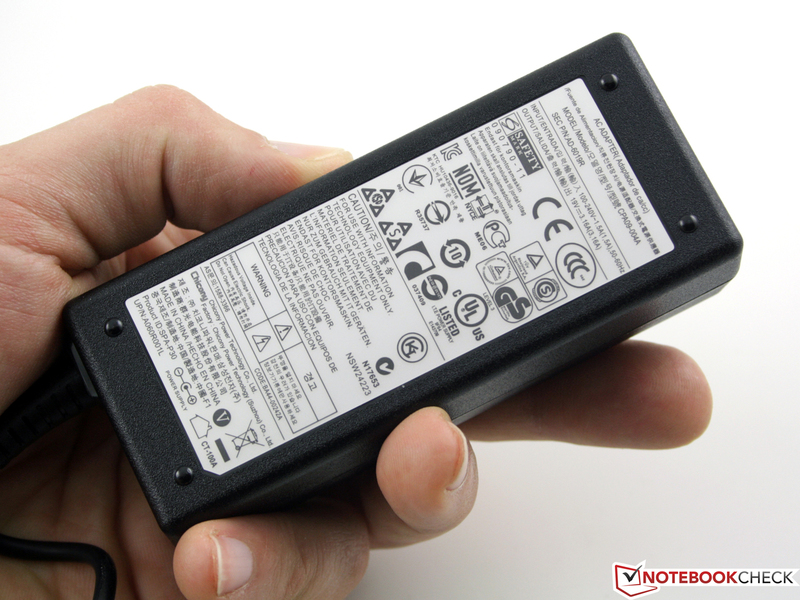 The 48 watt-hours battery keeps the 13.3 inch notebook on its feet for a surprisingly long time. Six hours and 20 minutes are not bad for a notebooks with a graphics card and standard Core i5 processor. The small AC adapter needs exactly two hours to fully recharge an empty battery. The non-reflective display is good for mobile use. Unfortunately the brightness is not exactly optimal. We measured 235 cd/m² (average). Acceptable but not ideal. In daylight the luminance is no longer sufficient when looking at the display from the sides. The accessories include a recovery disc for Windows Home Premium 64-bit. 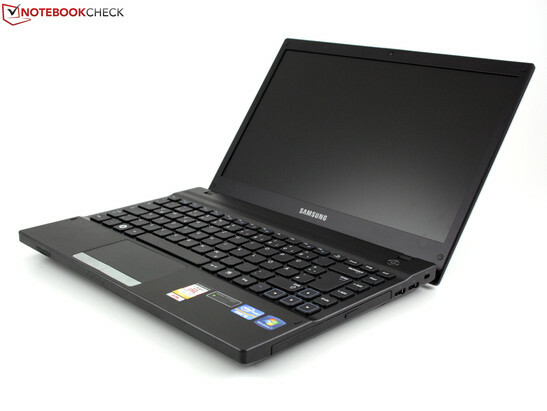 Samsung Series 3 300V3A: Writing is especially pleasant with the good feedback of the keys. 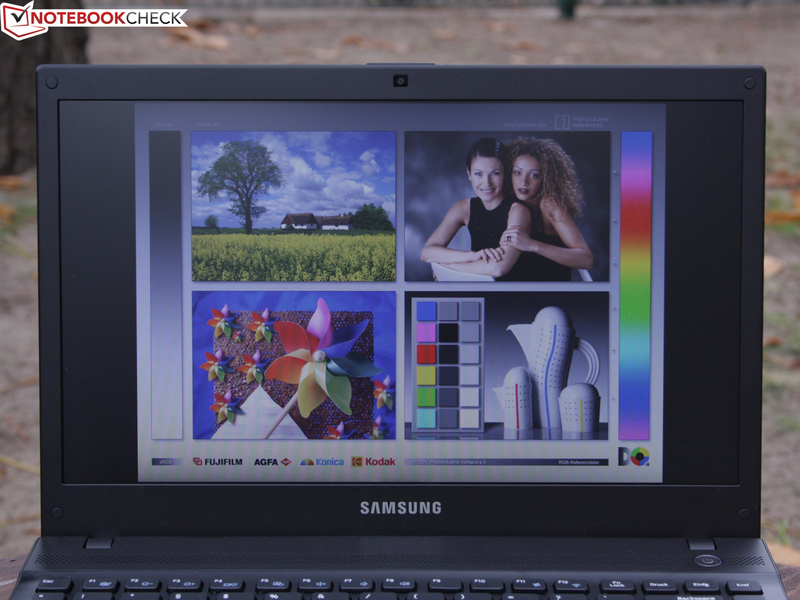 Samsung Series 3 300V3A: The non-reflective TFT displays dull colors, and has too little brightness for use in the sun. Samsung Series 3 300V3A: HDD and RAM upgrade? No problem. Samsung Series 3 300V3A: The cooling fan is available with the silent mode. The processor is limited to 800MHz: Good for the heat generation, but bad for the performance. Samsung has also included the popular silent mode with the device. The details on the plastic chassis are simple and matte. due to its non-reflective display and good keyboard. Is this enough to make the two kilogram weighing laptop a recommendable mobile device? The case is mediocre in terms of the stability and quality of the materials. The TFT display is softly attached to the chassis, and the hinges allow it to wobble. The display can only be opened up to 130 degrees, which is just enough for use on a lap. A small panel conceals the two DDR3 RAM modules. The whole base plate can also be removed if necessary. In order to do this the three rubber feet have to be taken off. Underneath these are screws. Once these have been removed the base plate can be slid forward. Completed. But upgrade fans won't get further than the 2.5 inch hard drive. The Samsung HM321HI (320GB) could be replaced by a fast SSD. This would allow the performance potential to increase. 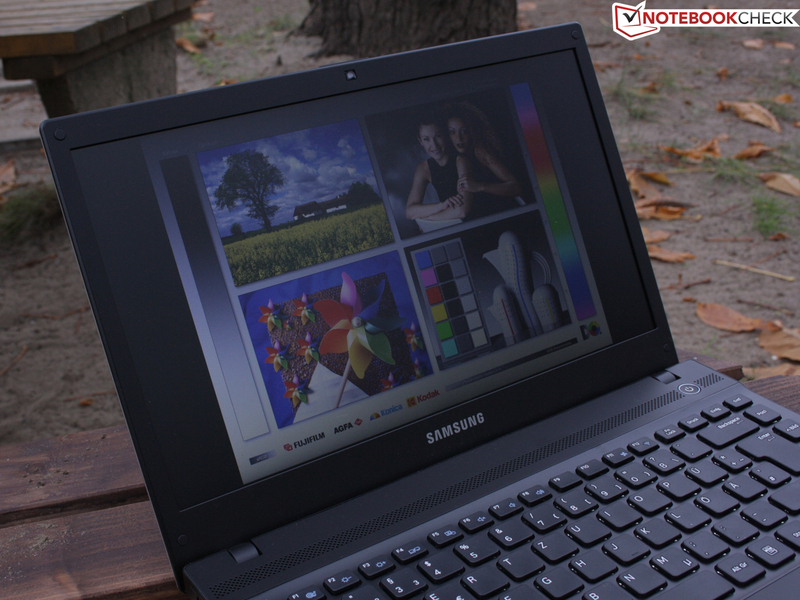 Samsung Series 3 300V3A: The matte surfaces make a tidy impression. The silent mode is worth gold in a library. The keys are firm, and have a clear pressure point. Just an SSD, then the 300V3A would hardly make a sound in silent mode most of the time. How can such a massive chassis be so bendable despite a reinforced base? No USB 3.0? 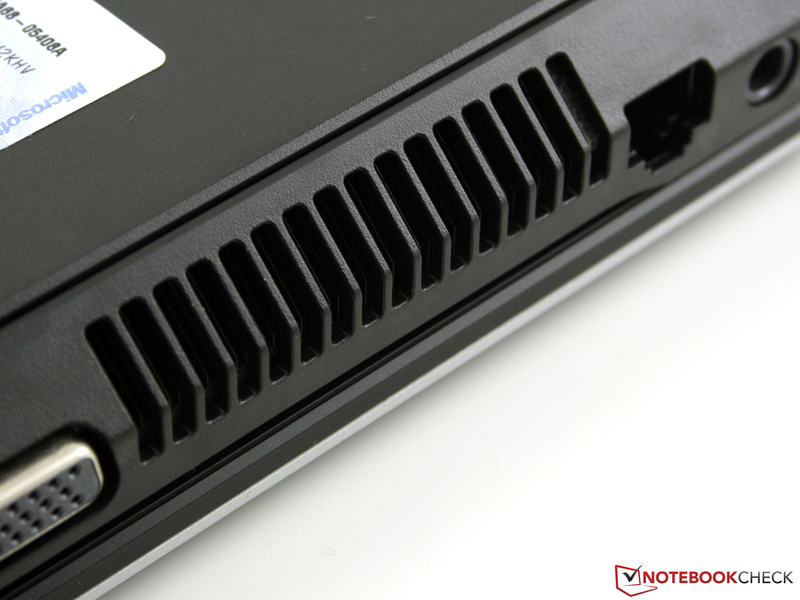 The 300V3A certainly isn't a cheap notebook. In the office category are the Dell Latitude E4310 (13.3 inch), Dell Latitude E6420 (the following also 14 inch), HP ProBook 6460b LG645EA, Lenovo ThinkPad L420, Asus P43SJ-VO006X, Acer TravelMate TimelineX 8473TG, Dell Latitude E5420 Essential, Dell Vostro 3450, Lenovo ThinkPad Edge E420s options worthy of mentioning with primarily matte displays.